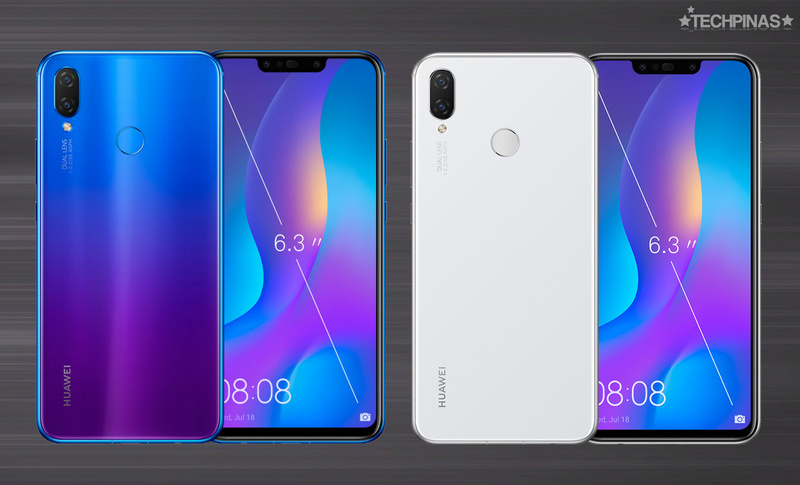 Chinese tech giant Huawei has just officially announced the 2018 follow-up to the popular midrange Android smartphone midrange Huawei Nova 2i from 2017. Slated to be formally launched in the Philippines through a media and consumer event to be held at the Glorietta Activity Center on Saturday - July 28, 2018, the all-new Huawei Nova 3i builds upon the strengths of its predecessor by having a more attractive design and an improved set of internal hardware. 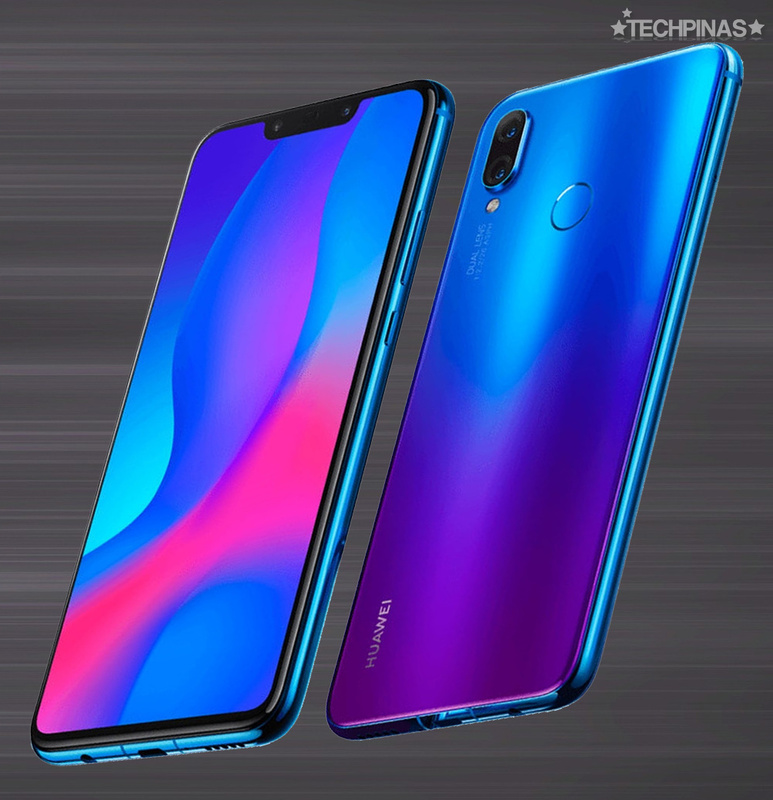 Available in three elegant colors - namely, Pearl White, Iris Purple, and Black, the Nova 3i flaunts an attractive glass-metal-glass design language that's largely the same as what's on the Huawei P20 Lite while the shade of the Iris Purple version - shown in the image below - is quite reminiscent of the Huawei P20 Pro Twilight color variant. Like its predecessor, this model also has four cameras - two at the back and two in front. The 16 MegaPixel f/2.2 + 2 MegaPixel rear combo just like the 24MP + 2MP duo above the display delivers shallow depth of field effect on portraits and are powered by the company's new set of AR emojis. Speaking of the display, Huawei Nova 3i features as a very large 6.3-inch FullHD+ IPS panel with rounder corners as well as a notch. This screen has a 19.5:9 Aspect Ratio, which allowed the company to increase its size without making the handset itself larger. For me, though, the real highlight of this fresh release would have to be its stellar set of innards, headlined by the new 12nm Octa Core Hisilicon Kirin 710 processor, 4GB of RAM, and a whopping 128GB of ROM, which is a real treat given the phone's SRP. It's just a bit disappointing that the device has a hybrid secondary nanoSIM slot instead of a dedicated microSD card -- so you'd have to sacrifice Dual SIM capability should you want to get even more space for your large files. Oh, and also, I wish the non-removable 3,340 mAh battery pack was bigger given the size of the display; I just hope that the actual uptime will be longer considering the supposed energy-efficiency of the processor. For those who value mobile security and privacy, you'd be glad to know that this 2018 model has both a Fingerprint Scanner at the back and Facial Recognition software integrated within the front-facing camera. Huawei Nova 3i is now up for pre-order at Huawei Mobile Philippines' official website. You can get it for PHP 15,990 and you sign up within July 19 to 27, 2018, you will get a free M2 Speaker when you pick up your unit at the event on July 28, 2018.